As far as I’m concerned, I live in Italy, but my heart will always belong to Spain. Both sides of my family can trace their heritage back to Spain and I also have my grandfather, uncles, and cousins living there. 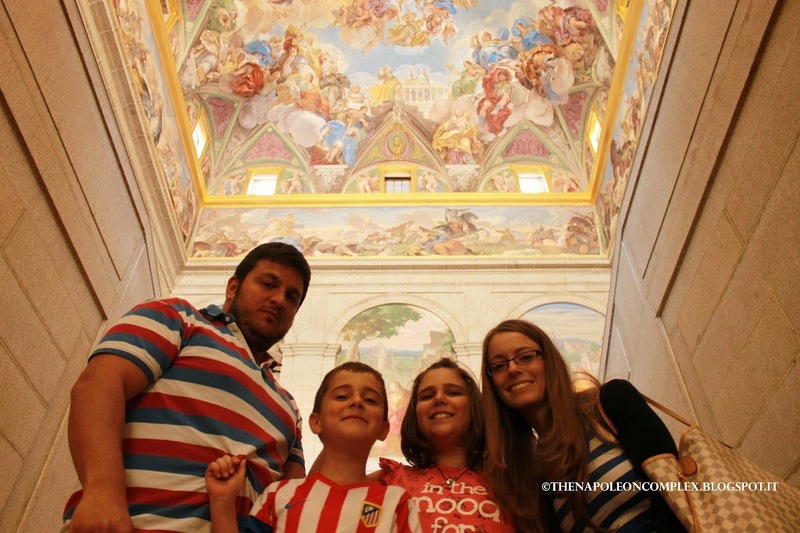 Living in Rome, it would be easier than ever to visit them, so one of the first trips Jaime and I had planned spending a couple of weeks in Spain during the Spring and visiting Madrid, as well as Cordoba, Seville, and Granada in Andalusia. The last time I visited Spain was in 2005 for my uncle’s wedding and I was a young teenager. My parents and I were there for three weeks and we traveled all through northern Spain. Some details are hazy, but I remember having a blast. Since then, I’ve grown up and realized that a country is much more than the two weeks of nonstop sightseeing that a tourist experiences (Italy has definitely taught me that). I have to admit that I was a little scared that maybe I would arrive and realize that it wasn’t the perfect place I remembered from my childhood memories. But I am happy to say that my fears were completely unfounded, as Madrid was just as beautiful as I remembered it and significantly more beautiful than Jaime remembers it (from when he visited in 2008). Of course, since both of us had been to Madrid (and Jaime had seen everything), our time there was mainly to spend time with my family. Nonetheless, we did manage to hit up some tourist spots. 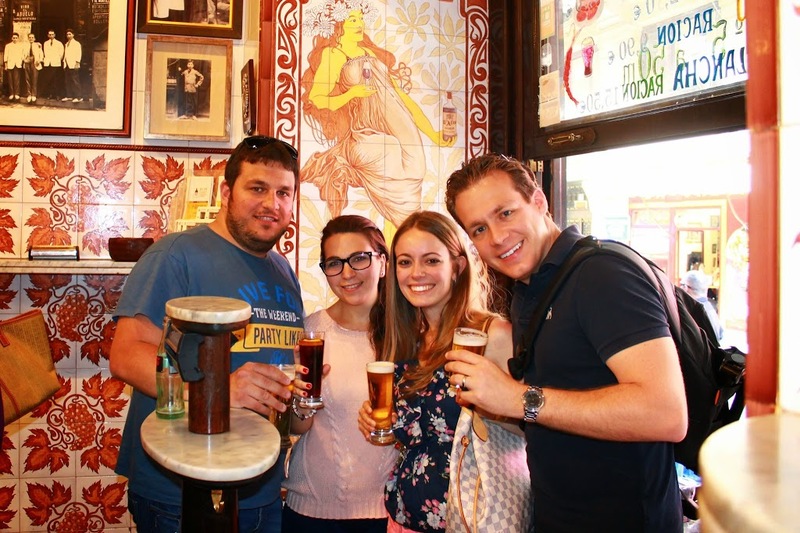 We arrived at Madrid’s airport on a Wednesday night, immediately had our first fill of tapas (stay tuned for a post on all of Spain’s magnificent food and where to get it), and started our sightseeing Thursday morning. 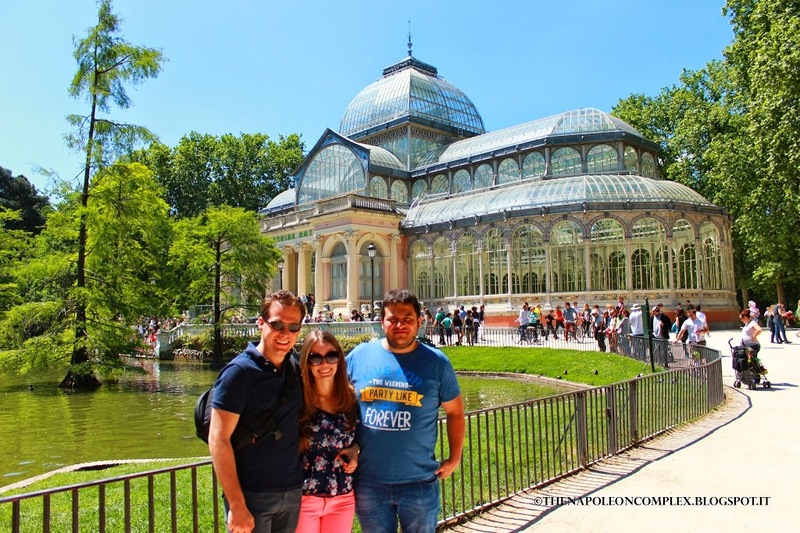 Our first stop was El Parque del Buen Retiro, literally translated to Park of the Pleasant Retreat. 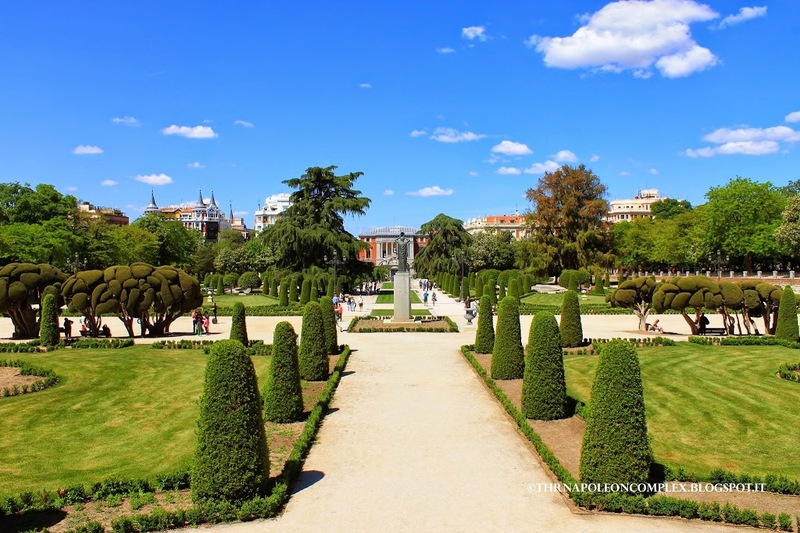 It is Madrid’s Central Park, a park that formally belonged to the monarchy until it was made public in the 19th century. It’s beautifully kept and manicured, at a contrast with some of Italy’s parks which tend to be a little more wild. Some of the most famous features that we saw are the Monument to Alfonso XII, the Crystal Palace (which was unfortunately closed since it was Spain’s Labor Day), and the Statue of the Fallen Angel. How crazy, cute, and weird is this tree?!?! After, we spent most of the day bar hopping, eating, and taking full advantage of my uncle and his girlfriend’s knowledge of good eats in the city. Along the way we visited La Plaza Mayor, the huge and principal square of Madrid (and one of the few places Jaime had not previously gone to *gasp*) and La Puerta del Sol, km 0 or the center for the network of Spanish roads. 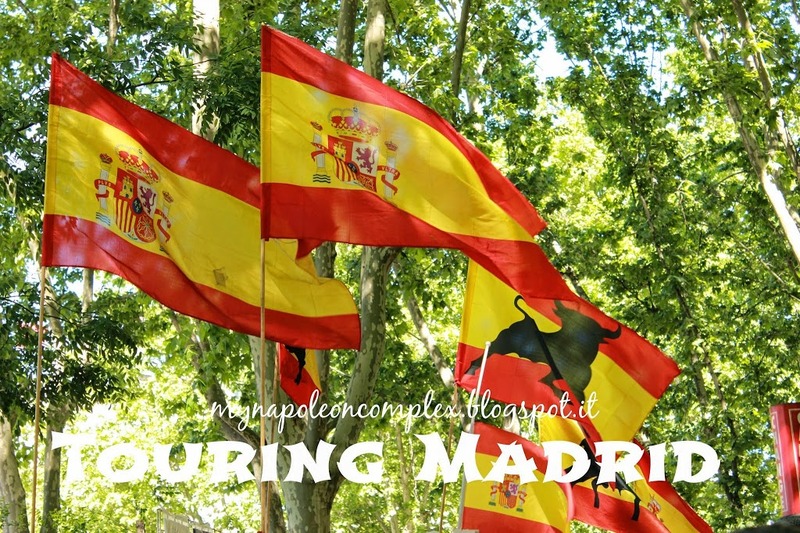 The next day, we planned on taking a day trip to Toledo with the entire family, but unfortunately once we arrived the city was packed to capacity with people due to the fact that it was a holiday in Madrid and all the Madrileños had our same of idea. After spending almost an hour driving around and not being able to find parking, we had no choice but to call it quits and turn around back to Madrid. One of the few pictures on the way to Toledo. I LOVE the Osborne Bull. 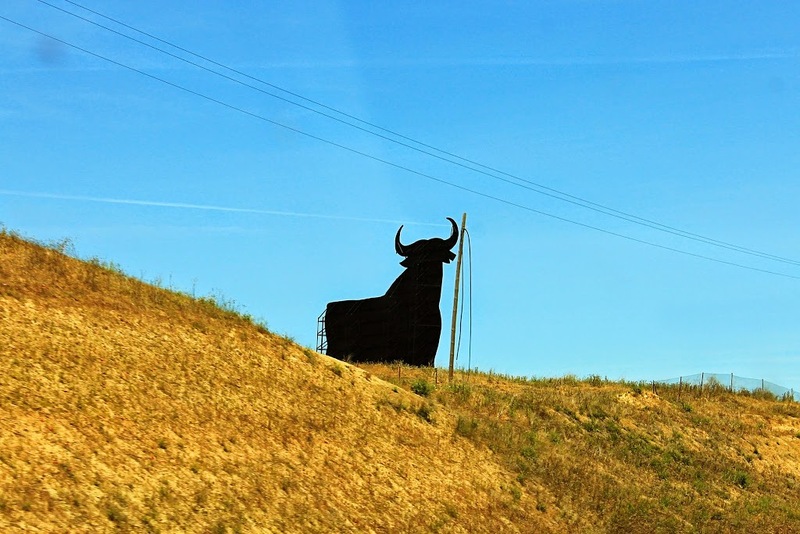 You can find them all over Spain’s highways! Instead, we had lunch (somehow I don’t think I’ve ever spent a vacation eating as much as I did in Spain) and hit up El Museo del Prado, which had been closed the previous day due to Labor Day. A quick tip for el Prado, if you’re like us and like art but are not planning to spend six hours in an art museum, it’s beneficial to go after 5 pm, when the entrance is free and you still have a good two or three hours before the museum closes. El Prado has an excellent collection of art, with particular emphasis on Spanish artists such as Goya and Diego Velasquez, and others such as Rubens and Titian. 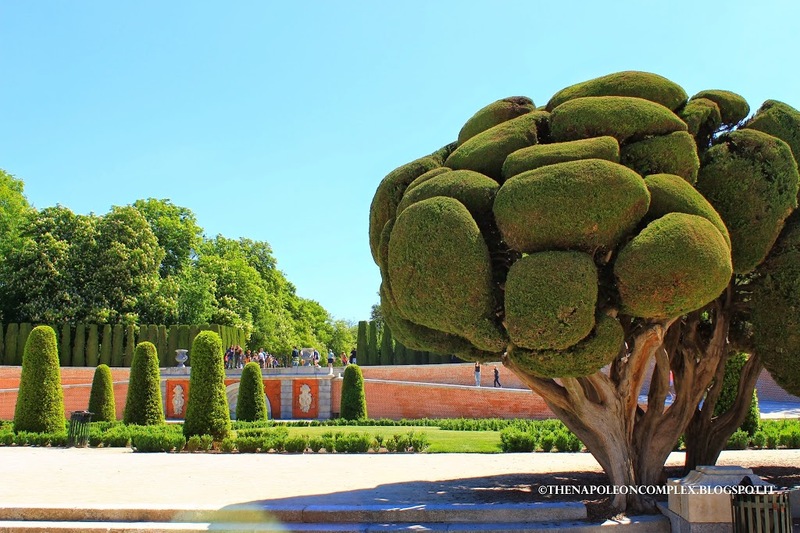 On Saturday, we went to El Escorial on the outskirts of Madrid, the historical residence of the kings of Spain. It was a place neither Jaime nor I had yet been to and a UNESCO site so obviously you know we had to go. 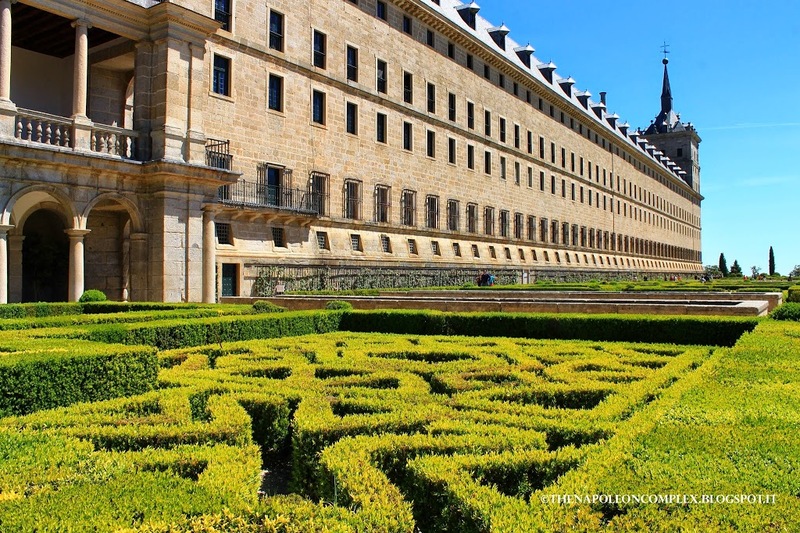 Apart from its church and its library, the most interesting part of El Escorial is the tombs of most of the Spanish kings from the last 500 years, from the Holy Roman Emperor Charles V (or Charles I in Spain). It is definitely a good place to visit if one has the time, but I will admit I expected it to be a little more grand, as most of the tour was spent looking at art paintings from obscure artists. Also, if you’re visiting during the summer months, it’s probably best to arrive early like we did, because the line to buy tickets when we left in the early afternoon was huge. On the drive back home, I was pointing out the many cows and bulls along the way when my uncle says to me, “You want to see some cows up close?” and obviously I was totally up for it. 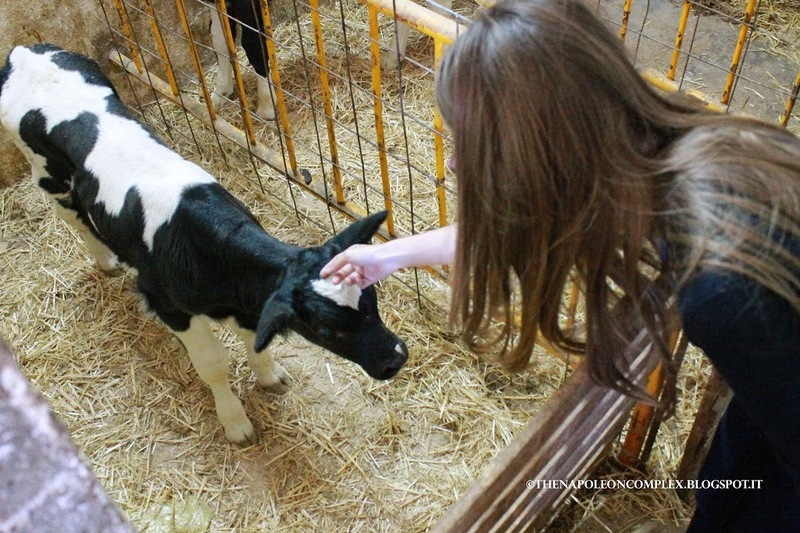 That afternoon he took us to a friend of his’s milk cow farm (meaning they aren’t killed for their meat) where we had the opportunity to pet some baby cows and see the afternoon milking of the adult cows. This was something completely new for this city girl! How cute is this baby cow?!? Sunday was Spain’s Mother’s Day, which meant that it was the perfect time to get the family over and make some homemade paella! 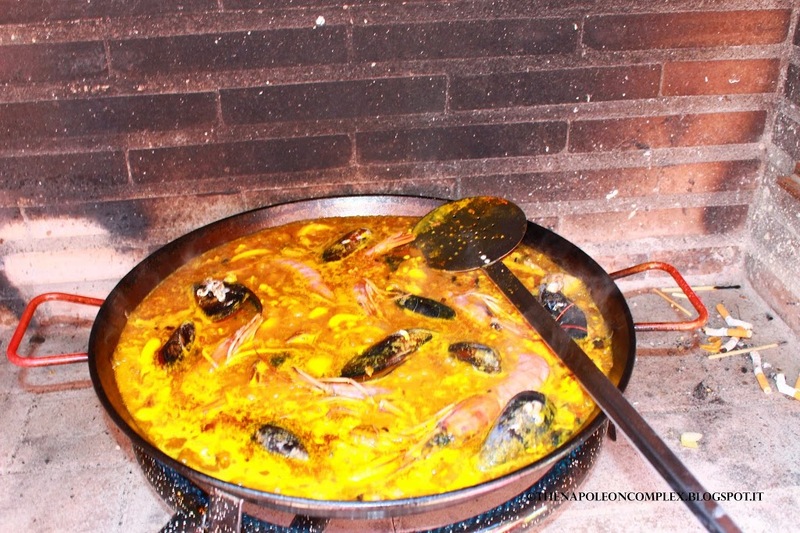 My uncle is the king of paellas and we were extremely lucky to have the real deal and not some of the fake frozen stuff they serve at restaurants. Picture while the paella was cooking. Unfortunately nobody thought to take a picture when it was done because we were too busy eating it! During the afternoon, I left Jaime behind enjoying some relax time and drinking Gin & Tonics while my uncle and I took a ride on his motorcycle through the Spanish mountains and countryside to the nearby town of Segovia (post will be updated with pictures as soon as I get them from him!). We took a stroll through the historical center (also a UNESCO site) and took pictures to make Jaime jealous :). When we got back home, I was excited to show off my pictures to Jaime, but wait!! Turns out my other uncle managed to get some last minute tickets to the night’s Real Madrid game so he went ahead with Jaime. They had tried to reach us but of course, we were on the bike and didn’t realize it. Now, we all know soccer is a way of life in Europe…and everywhere else in the world except the U.S. Even though I’ve lived in the U.S. my dad and all his family are very into soccer, especially Real Madrid. 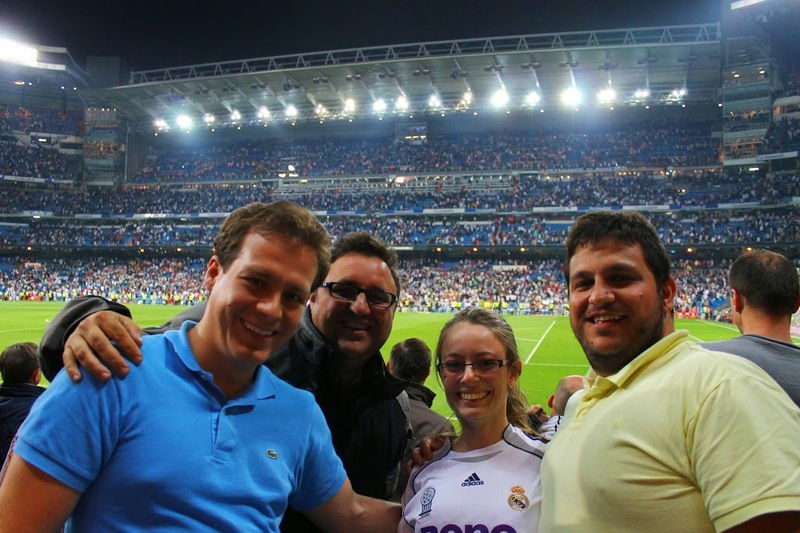 So it’s always been a dream of mine to go to a game in their stadium, El Bernabeu, and there I was about to miss it! All I have to say is thank God for motorcycles because if it hadn’t been for that, we would have never made it. My uncle and I got back on the bike and raced to the stadium, which was a good 20 minutes away. But luckily, parking was not an issue on a bike, so we ended up parking pretty much 20 feet away from the entrance, where Jaime and my uncle were waiting for us with the tickets (well, let’s be honest, my uncle waited for us, Jaime was in his seat snapping away pictures like a crazy). It was the perfect way to end our weekend in Madrid. Not only did we get to see a game, but we had AMAZING seats. Like, never-going-to-happen-again and I-could-pretty-much-count-Cristiano-Ronaldo’s-pores seats. Unfortunately, Real Madrid only ended up tying the game (even though they made a winning goal at the last second but it didn’t count). 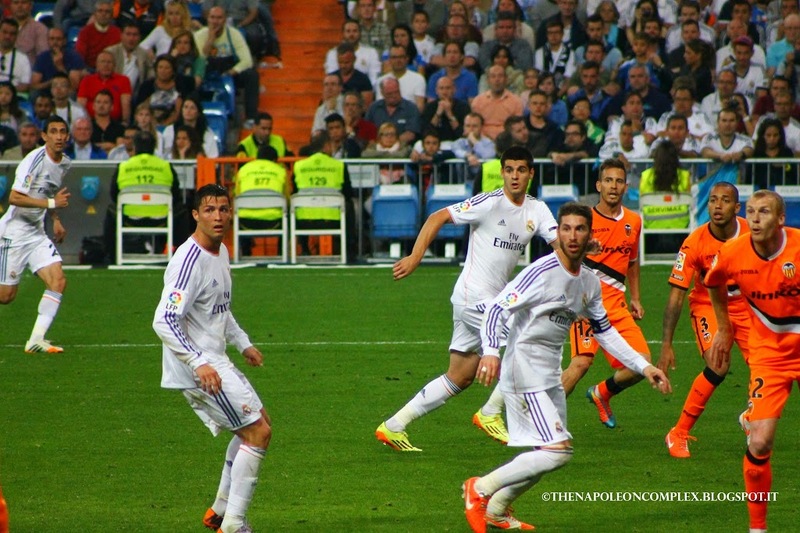 But still the experience of being there and feeling the energy and hearing the crowd go crazy for a Real Madrid goal was just completely unforgettable. Yet another thing I got to cross off my bucket list. Look at those beautiful pores! At least I got to wear my jersey! After the game, my uncle and I made it home on the bike in about 15 minutes, while my other uncle and Jaime had to sit through traffic :). But we didn’t have much time to relax as we had to pack and get ready to take an early train the next day for our next adventure, this time in Cordoba! For more pictures of our adventures in Madrid (as well as the rest of Spain), hit up My Napoleon Complex’s facebook page!